Utilize mobile payment with the new Samsung Galaxy S5 fingerprint account verification feature and pay for your online purchases with Paypal using your handset. Owners of the new Samsung Galaxy S5 smartphone may opt to pay for their online purchases with Paypal using their fingerprint. The following steps will get you through it. 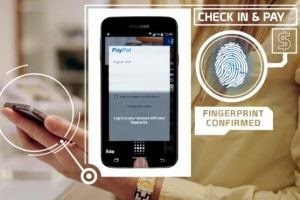 Before you enable the Paypal Payment using fingerprint function on your Galaxy S5, be sure to have an internet connection. This means you need to be connected to a Wi-Fi network or have the data connection enabled on your device, to avoid any further issue with the Settings configuration. 1. Press the Home key once to get to the Home screen. Another way is to press the back key for several times until you'll get to the Home screen. 2. Go to the Notification bar and pull it down by swiping from topmost down to the lower portion of the screen. 3. Tap the Settings icon from the Notification bar. You can find the Settings icon on the upper right portion of the screen. 4. Look for the Finger Scanner icon and tap on it to get to the Finger Scanner screen. 5. Look for the Pay Using Paypal option and touch on it to continue to the next screen wherein you can enable the Paypal payment using your fingerprint function. 6. Tap Install located next to FIDO Ready Support. 7. Tap on the Link button located next to your Paypal account. 8. You will be prompted with on-screen instructions on the following screen. Just follow the given instructions to get to the official website of Paypal. 9. Once you're in the official Paypal website, sign in to your Paypal account and register your fingerprints. By doing so, you have already enabled or activated the Paypal Payments using your fingerprint. 10. Try to log-in to your Paypal account using your registered fingerprint.